There are currently no products inside your enquiry cart. Enter your email address and we will send you new password in no time. New to Arlin? Register now! between the internal and the external rotor. It ensures a hermetic separation of the drive and the driven side in its main function as sealing element in pumps and agitators. For critical media like aggressive acids etc. it serves as a reliable seal and prevents serious leakages occuring. On request KTR can manufacture special customer-specific types of the MINEX®-S in connection with KTR hydraulic components. 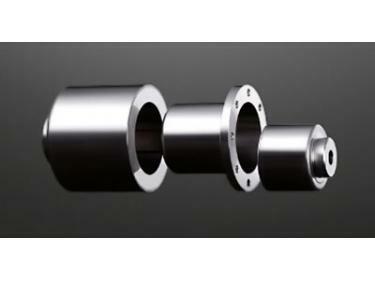 Thus existing pumps with a conventional shaft seal can be easily retrofitted with the MINEX®-S. 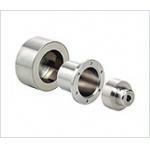 The coupling consists of an external and an internal rotor. The external rotor has high-quality, permanent magnets of changing polarity on the inner side and the internal rotor has them on the outside. The external rotor is normally fixed on the drive side and the magnets are glued in the keyways. The magnets of the driven-sided internal rotor are cylindrically ground to ensure a minimal air gap and encapsulated through a magnetic cover that is impervious to fluids. In their non-operative states the north and south poles of the rotors are opposite to each other and the magnetic field is completely symmetric. It is only when the rotors are twisted that the magnetic field lines are moved, hence the torque is transmitted through the air gap. Then there is a synchronous operation under a constant torsion angle. If the maximum coupling torque and the maximum torsion angle are exceeded, the power transmission is interrupted. Thus the MINEX®-S offers an overload protection function of the drive train. After removing the cause of the overload (e. g. damage to the bearing, blocking of the internal rotor) both rotors can be synchronised again and operation is resumed. The main component of the MINEX®-S is the containment shroud that is fixed to the driven-sided power unit and separates internal and external rotor from each other. 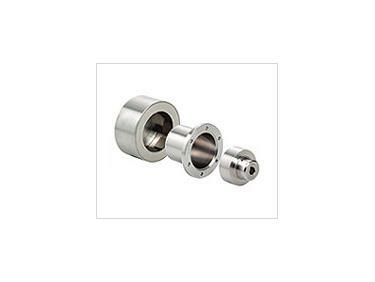 It ensures a low-vibration torque transmission working without mechanical connection and guarantees a completely leak-proof separation of product and atmosphere. The sealing is achieved with a flat seal or an o-ring, thus eliminating the need to dynamically load the sealing elements. Containment shrouds made of stainless steel or Hastelloy provide for a high resistance to pressure and temperature and cover a wide range of applications. 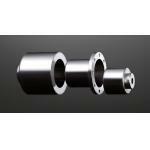 They have proven their worth in numerous applications of pumps and agitators. Inside the rotating magnetic field they generally cause losses of eddy current which are converted into heat and which may require cooling measures. On applications with pumps the heat produced can basically be dissipated by the medium to be pumped. The loss of eddy current needs to be considered with the selection of the coupling. © Copyright Deanquip Pty Ltd 2015. All rights reserved. You are now subscribed! Please feel free to provide us with further details, however this is not compulsory. These details will allow us to supply you the latest product catalogues.